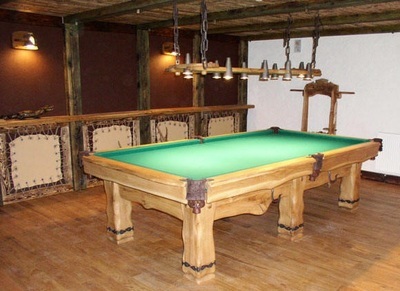 Log style rustic furniture has become very desirable in a wild west game room. 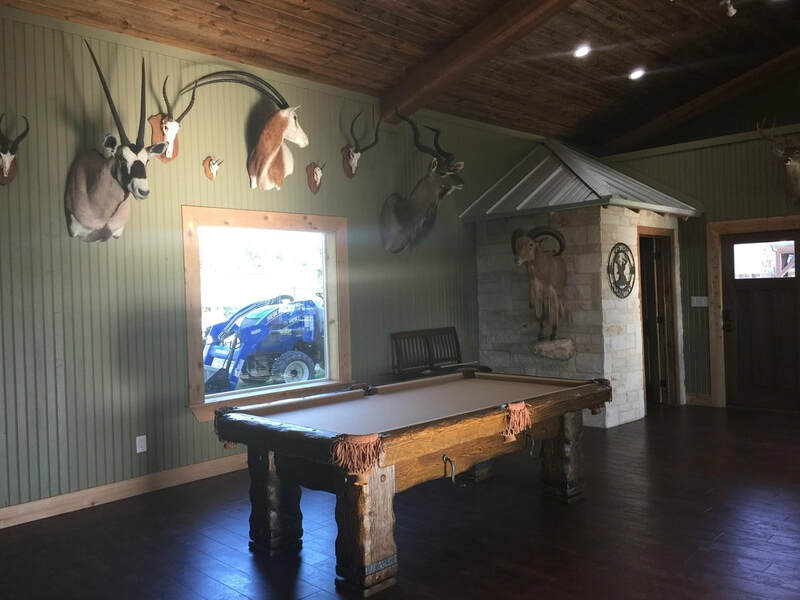 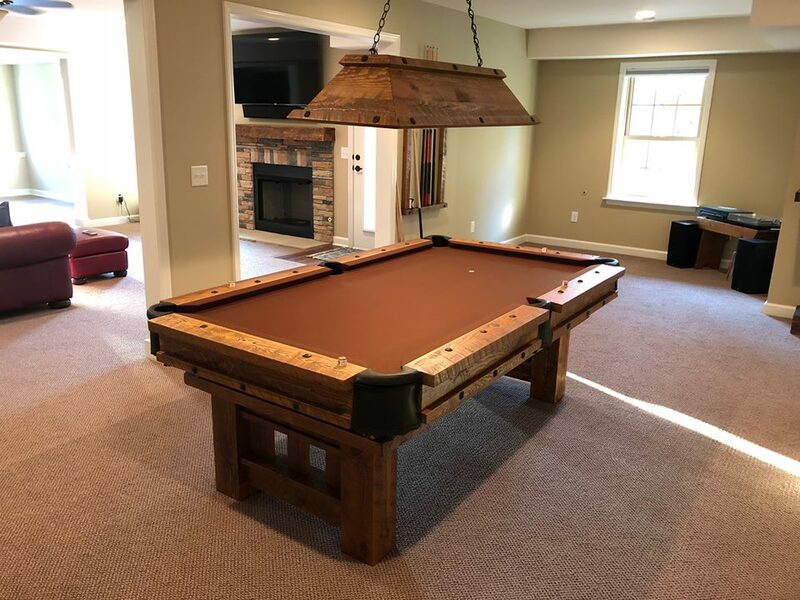 Whether it be a small log cabin tucked away in the woods or a mountain estate with jaw dropping views, these hand crafted rustic pool tables are a centerpiece. 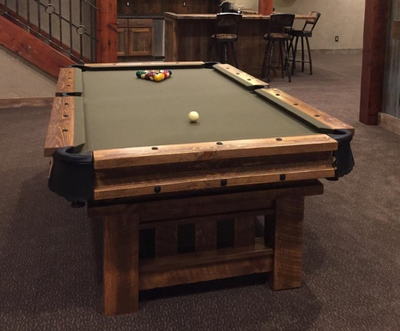 Our team of wood craftsmen, rely on their hand skills and tools, making each custom hand crafted pool table one at a time. 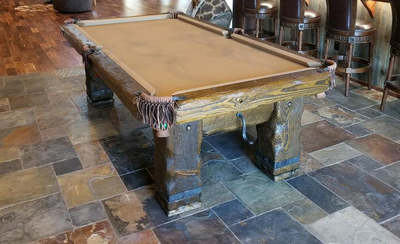 The metal features of each table are hammered by our blacksmith. 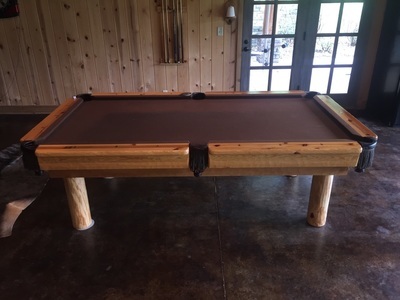 Each table comes with 1" thick slate, professional playing cloth, and leather pockets. 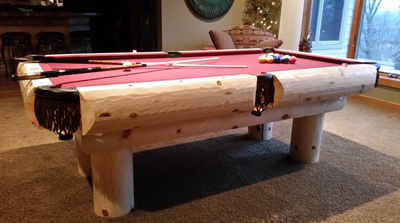 The final product is a piece of art and built to last for generations. 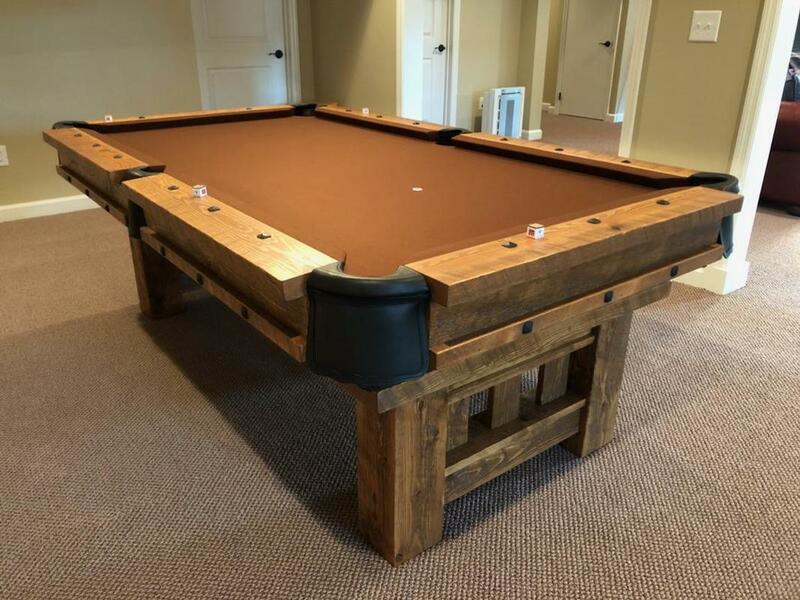 If the table you like is in stock we can ship it within days from ordering. You can even pick the color of felt that you like, we stock all colors of pool table cloth. 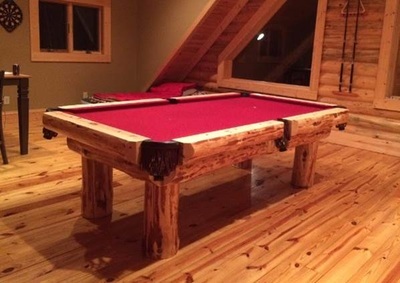 You entertaining on your Rustic Billiards pool table soon. 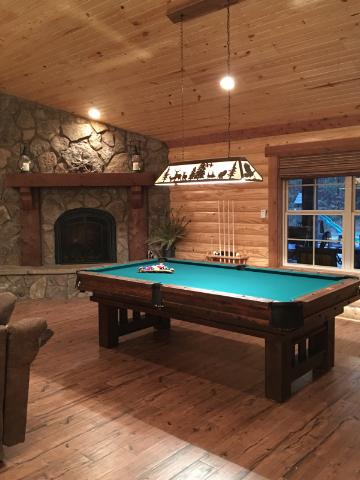 Customers' pics of table & billiards room. 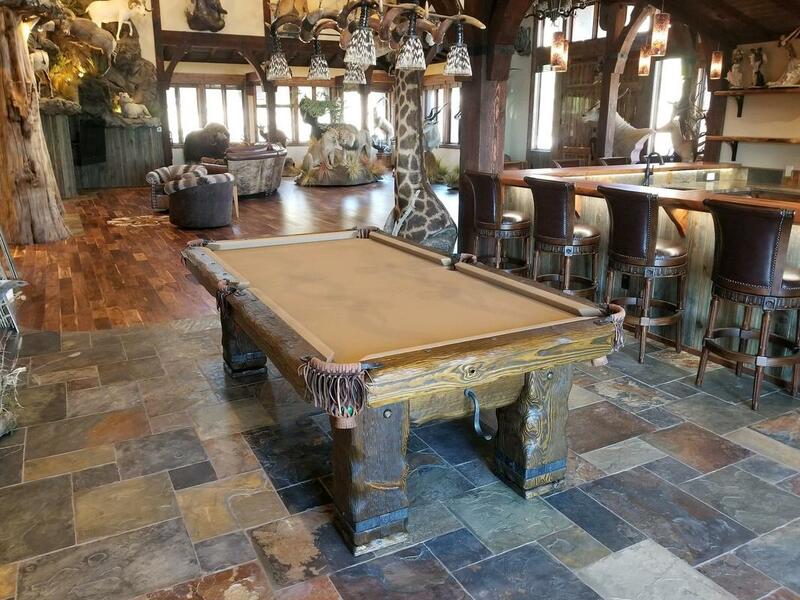 ​"This pool table is "off the charts"!!! 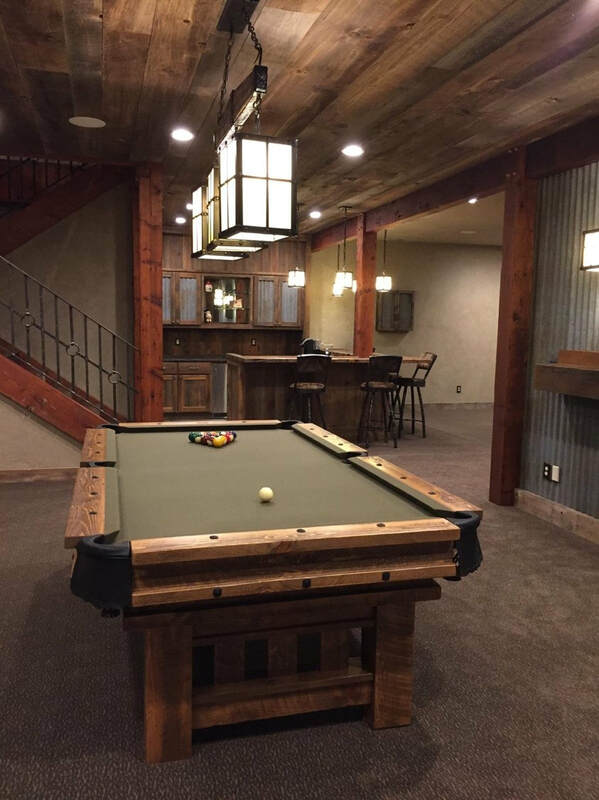 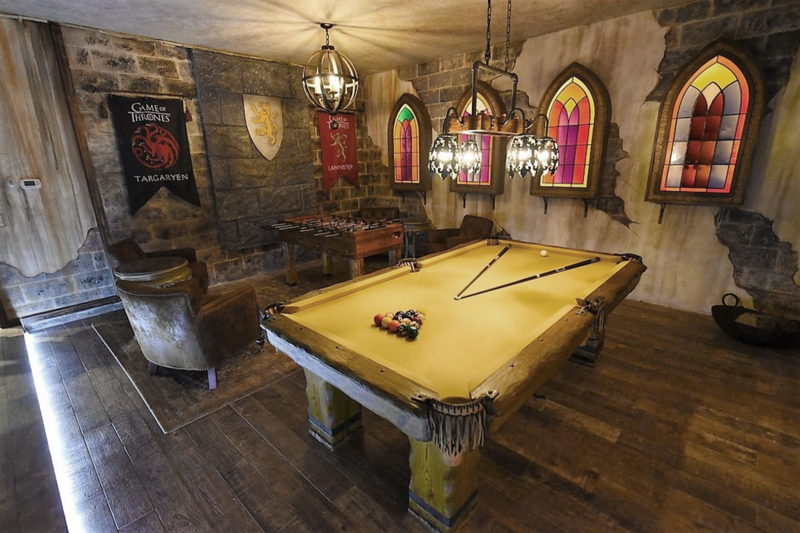 It looks so awesome in our rustic game room! It definitely is the focal point of the room! 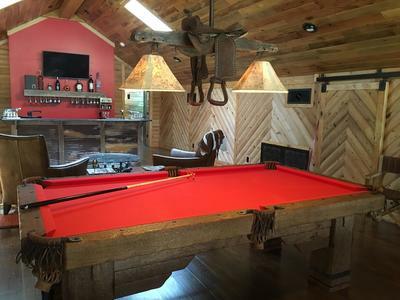 Thank you Brian!!!" 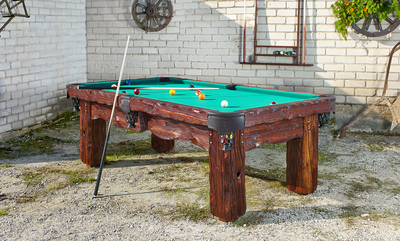 ​Our craftsmen have centuries of log furniture and rustic pool table craftsmanship . 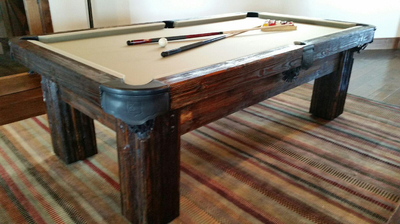 We take pride with all our handcrafted tables built with expert accuracy and loving care. 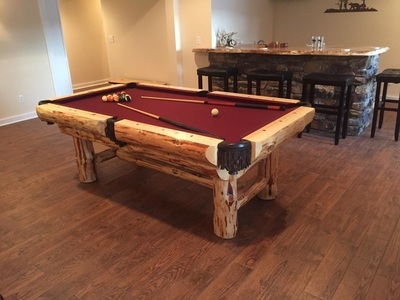 Custom woodworking using a variety of construction techniques in order to create the perfect log pool table. 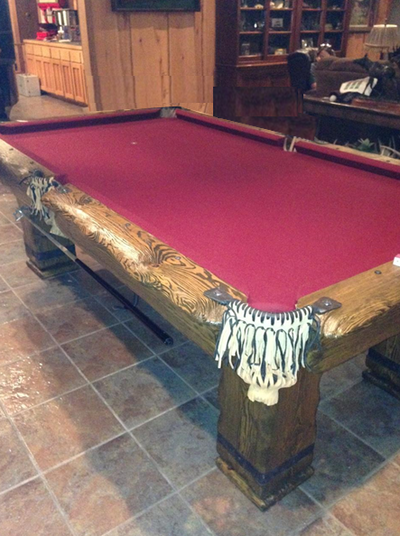 These beautiful pieces are built tough like quality antique furnishings from long ago. 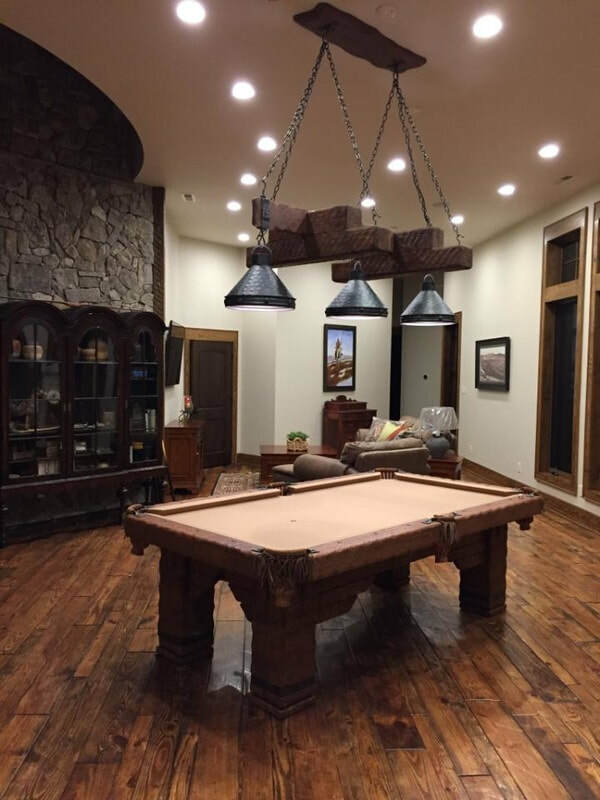 ​We believe the best testimonial is the beautiful pictures or videos our customers send us of their pool table and billiards room. 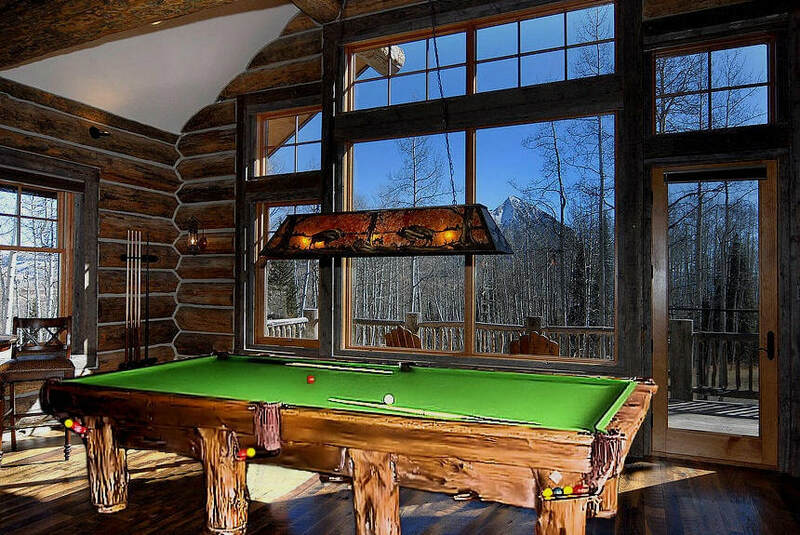 ​Whichever rustic log cabin pool table you choose, the same love goes into every table. 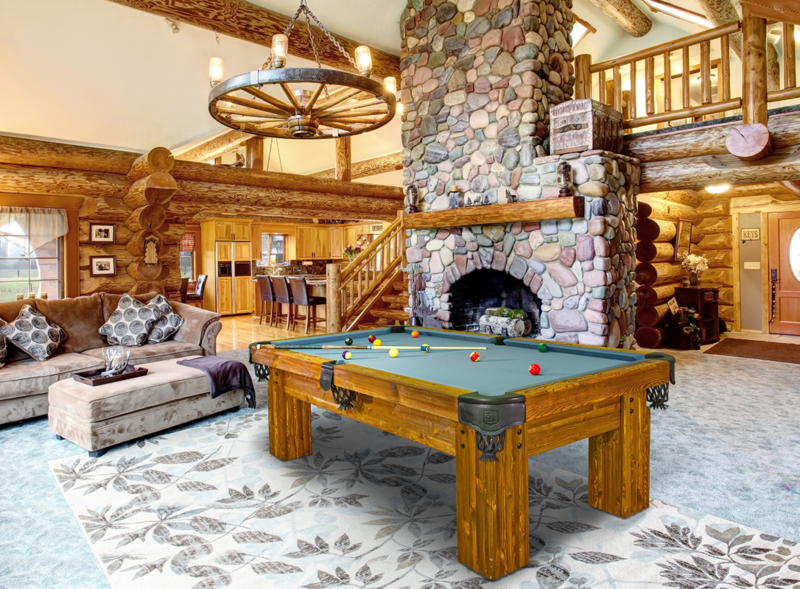 Pick the style you like with upmost confidence knowing it is the very best and will last forever! 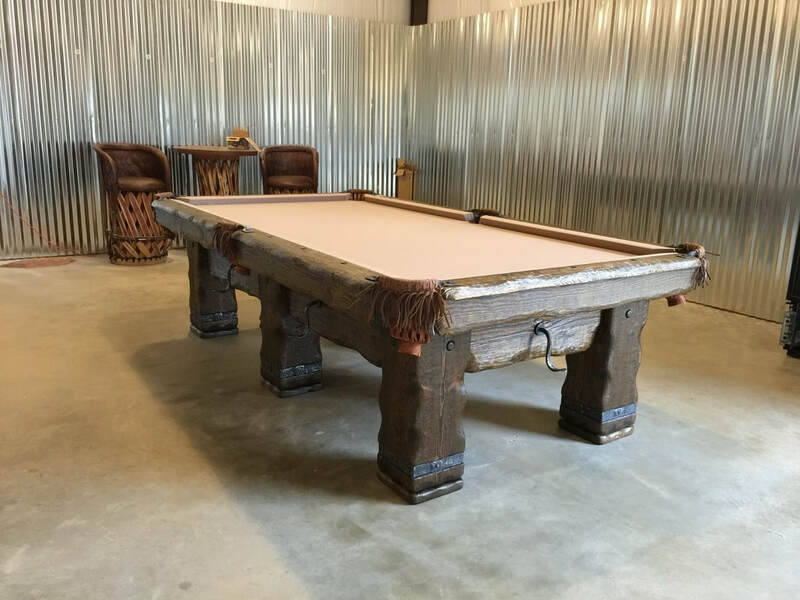 BARNWOOD Rustic Pool Table in Tennessee. 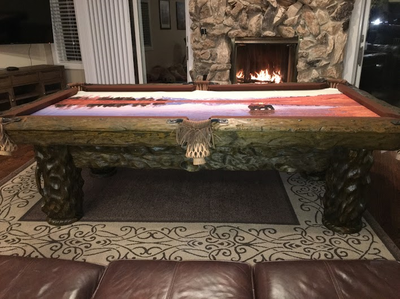 GRIZZLY BEAR Log pool table in Arizona 2018.